This year on schedule and to budget, PPT successfully installed an 8 colour 2500mm wide web C.I. section to an existing Chadwick pre-print press in Toronto Canada. The new section incorporates the latest press control systems, door blade assemblies, closed loop temperature controller to the C.I. drum, zoned infra-red drying equipment and a fully interlocked guarding system complying with current Health & Safety standards. 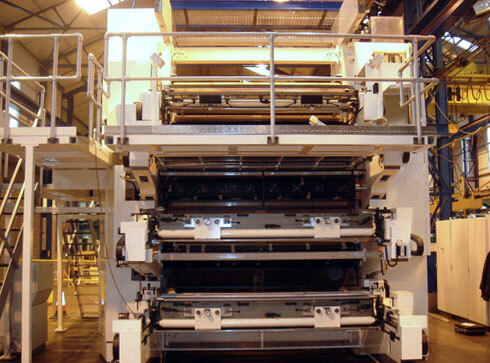 The new press section can be configured to print up to 8 colours or in the case of 4 colour jobs, allow the operator to prepare 4 colours whilst the press is running. This feature reduces press downtime significantly and increases productivity output.